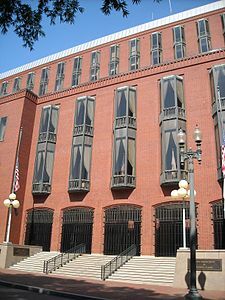 Located in Washington, D.C., the Federal Circuit Court of Appeals hears federal cases that arise from the federal district courts other than Washington District. The Federal Circuit has strict standards for the printing and filing of appellate briefs, and these standards differ from those of the other federal circuits. The starting point for a filling is, as always, the federal rules of Appellate Procedure. From there, the rules are modified by the local rules of the Federal Circuit. The Federal Circuit specifies the section order of the brief. A complete certificate of interest to determine conflicts is required. The parties are encouraged to agree on the contents of an appendix that will comply with this Federal Circuit Rule 30. 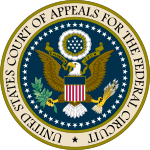 In the absence of an agreement, the appellant must, within 14 days after docketing in an appeal from a court or after service of the certified list or index in a petition for review or appeal from an agency, serve on the appellee or cross-appellant a designation of materials from which the appendix will be prepared and a statement of the issues to be presented for review. The appellee or cross-appellant may, within 14 days after receiving the designation, serve on the appellant a counterdesignation of additional parts to be included in the appendix. A designation or counterdesignation must not be filed with the court. The Federal Circuit limits the size of the appendix by permitting only material referred to in the body of the brief, with excerpts encouraged. The appendix must contain the entire docket sheet, jury verdict and responses to interrogatories, and any opinions or orders. To reduce bulk in the appendix, the use of condensed, columnar transcripts of testimony is encouraged.